The summer is approaching and, for me, that means an extended period of travel to different places with different climates. In all the places, Hubby and I will walk at least 5 miles a day. Sometimes we walk to dinner and back. Sometimes we walk to the theater. Other times, we’re just strolling through town, window shopping or cafe hopping. No matter what we’re up to, I have to have comfortable shoes that can see me through all those miles and different situations. It’s easier in winter to find comfy shoes that look grand in a variety of situations. These boots from Aquatalia by Marvin K saw me through the hills of San Francisco, a downpour in Toronto, dinner and Shakespeare in Stratford, Ontario, and countless other places where I had to walk outside for miles in occasional inclement weather. 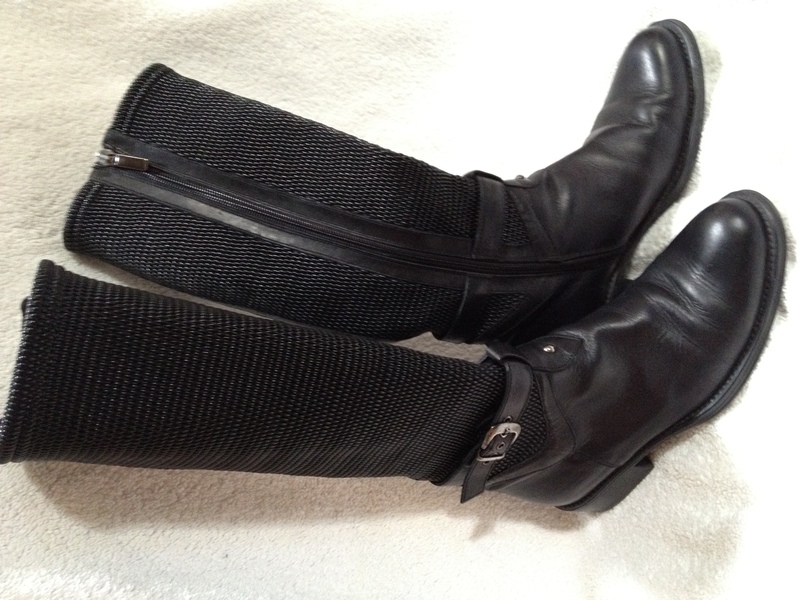 Knee-high flat boots from Aquatalia by Marvin K are comfy and weather-proof. They also fit will in a variety of situations. Nike Air Pegasus sneakers. I think the black color and shine of the fabric help them fit into a few other situations where white sneakers would stick out. Still, I only wear them for casual dinners and events. With just two pairs of shoes needed for pretty much any situation, it was easy to pack and fairly light to carry. The boots come off quickly for airport security and go back on just as quickly. The sneakers were actually slightly more trouble since they have laces, but they were lighter and easier to pack in an overnight bag. Sandals by Naot. They seem to fit into several different situations and I have walked more than five miles in them in one day without blisters or pain. These are great for probably 70% of the things I do in a given day and, unlike the Nikes, they look good with long skirts. Still, my problem with relying solely on sandals is that, they’re not as comfortable during those summer rain bursts. And, when I walk long distances through dusty or gravelly areas, I always end up having to stop in order to free the little pebbles that try to hitch a ride under my heel. Suede penny loafers with Nike Air technology by Cole Haan. They looked great with jeans, capris, and certain skirts. They were far more comfortable than I would have imagined them to be at first. 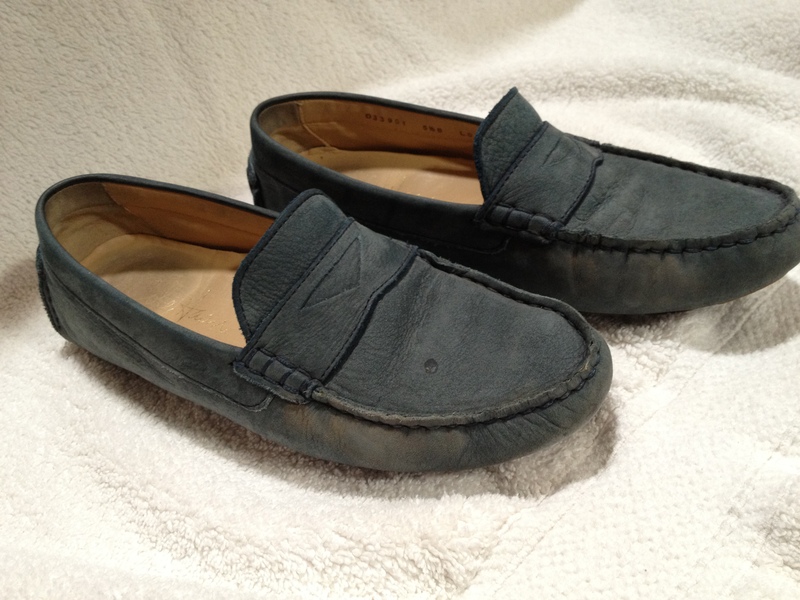 They’re built to look like loafers but they bond to the foot more like flats, thanks to the moldable suede. The difference, though, is that with loafers, the leather is usually stiff and, in flats, the support is usually minimal. Walking miles in either kind of shoe often ends up in blisters and/or incredibly sore feet. These, however, rocked like Elvis’s shoes of the same variety (blue suede), fitting into a variety of situations and going with a lot of different outfits. But, as you can see, they have seen better days, and I’m afraid their support is starting to break down after so much wear. Not exactly sporty or closed-toed, but...drool. Karma heel by Aquatalia by Marvin K.
As of yet, I have not found the one that fits all of my requirements. The shoes I have tried either rubbed horrible blisters, made my feet sweat, or they were just downright uncomfortable. These Merrells had promise, but when I wore them to walk a mile to coffee and back, they drew blood from the blisters they rubbed! Ouch! 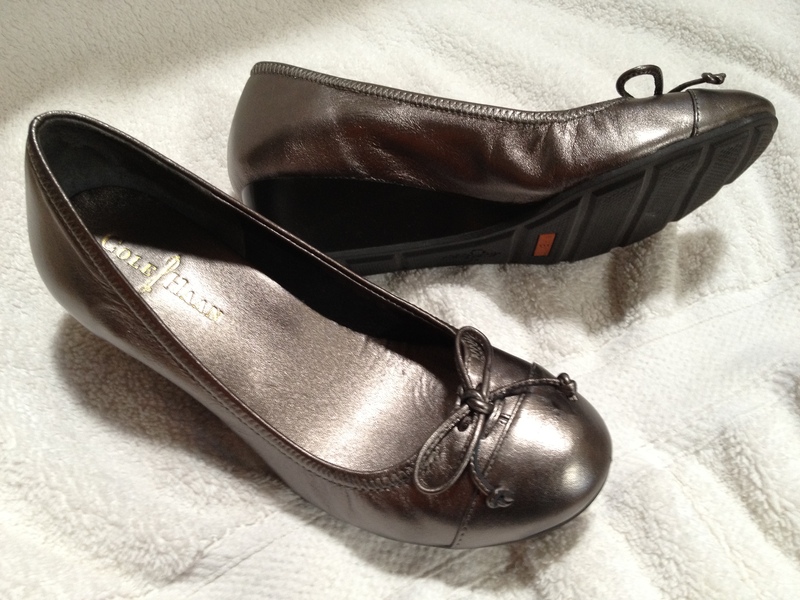 These adorable little shoes from Privo by Clark's are spunky, sporty, and incredibly comfy, but they make my feet sweat. Ewew! I tried these as a dressier shoe that could fit into dress-up/dress-down situations. I thought since they are by Cole Haan with Nike Air Technology that they might actually work. And they are fairly comfortable. The problem is that they pinch my toes and do not provide the stability I need when walking along uneven sidewalks. The comfort lines out there, like Ecco, Mephisto, and Clark’s make fine shoes, but a lot of them are either too wide for my dainty feet or they look like a shoe my grandmother would wear. 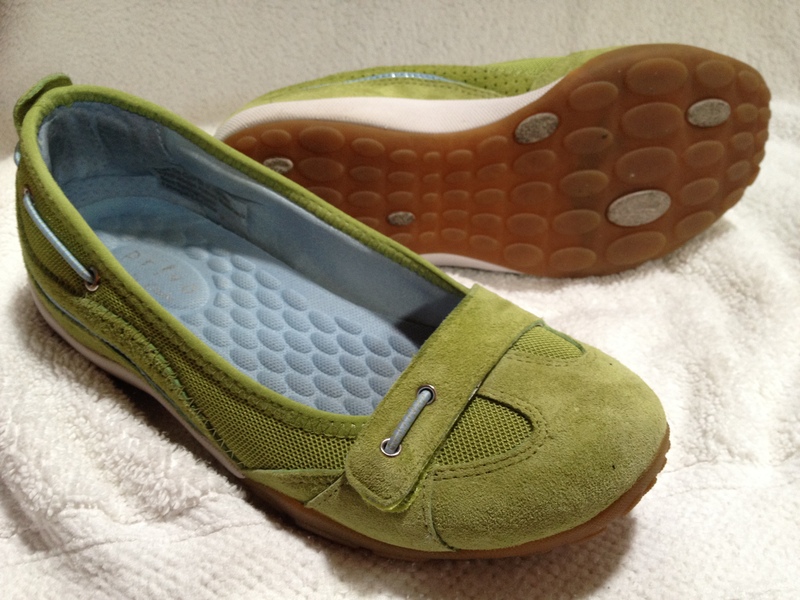 (In fact, I bought my grandmother some Ecco’s for Christmas because she loved them so much.) These lines have started putting out some really great looking shoes lately and I have bought pairs in hopes of finding the one. But, alas, I am still looking for that summer staple. So now, ladies and gentlemen, I put the question to you: Have you found stylish, comfortable, lightweight, summer shoes that are urban casual AND closed-toed? If you have great traveling shoes you would like to share, drop me a note! Phoenix, as well as many other parts of the world, it seems, are starting Spring/Summer early. That has me antsy to find what I need to get on the road with style and comfort. It’s hard to beat the good ol’ flip flops. 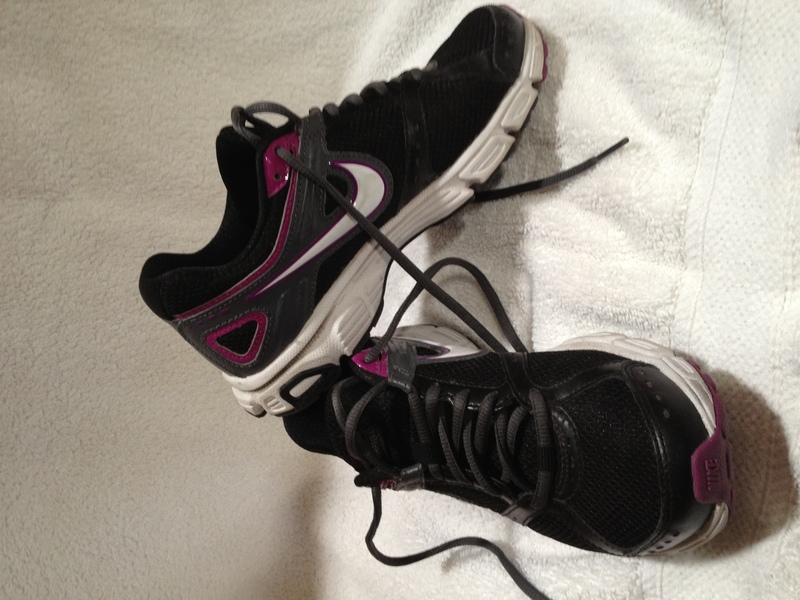 Sadly, I can’t walk long distances in those–my feet start hurting after a while–but I do love them. I was out walking around in some flip flops a couple of nights ago, actually. 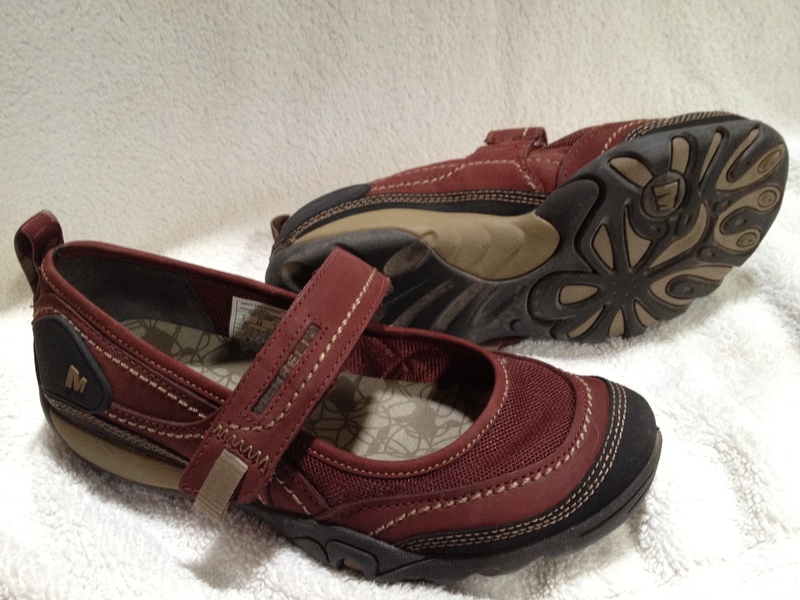 My favorites are Reef brand–so cushy. 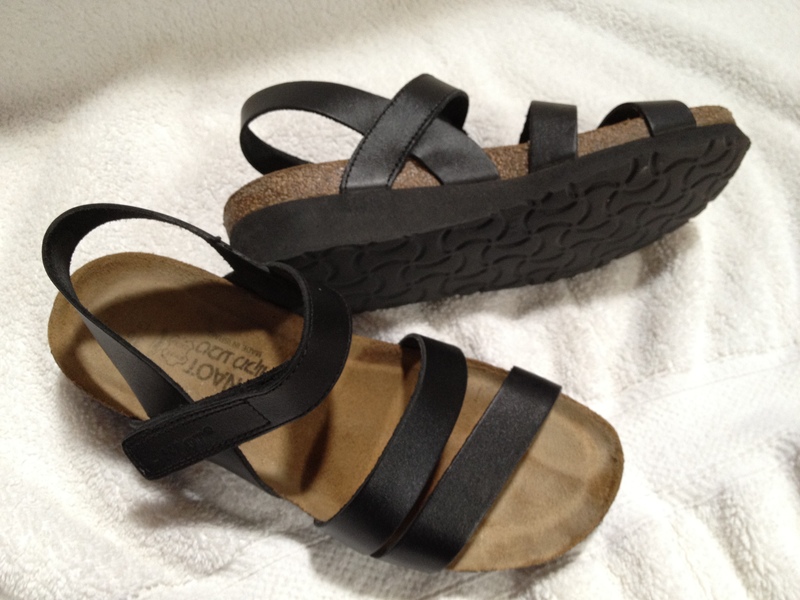 Hey Sherry – just catching up on your blog and thought I’d share my ultimate closed-toe sandal recommendation. It is the Clarks Wave Peak and it’s not nearly as hideously ugly as you would assume such a comfy shoe would be. 🙂 Plus it looks decent with jeans or a skirt. I discovered them by buying them sight-unseen online and wearing them for the first time on an intense 6-year-old-guided, two-day tour of Disneyland. In my friend’s words, “That was a terrible idea!” but it worked out. Wow! You may have solved my problem! Thank you! I just did a search for them and they are really cute! I will keep investigating and will let you know, but I am hopeful that, soon, I will be hoofing around North America in a Clark’s Wave Peak shoe.